Symphonia Academica's members perform music for strings with a strong sense of commitment and passion. Indeed the ensemble's string quartet of principal players is at the heart of their performances. Performing usually with 12 players under the baton of their conductor, David Beaman, the ensemble's innate sense of communication between themselves creates a dynamic energy that draws the audience into their sound world. The ensemble's more relaxed approach to talk to the audience enlightens the audience and projects a more intimate atmosphere. 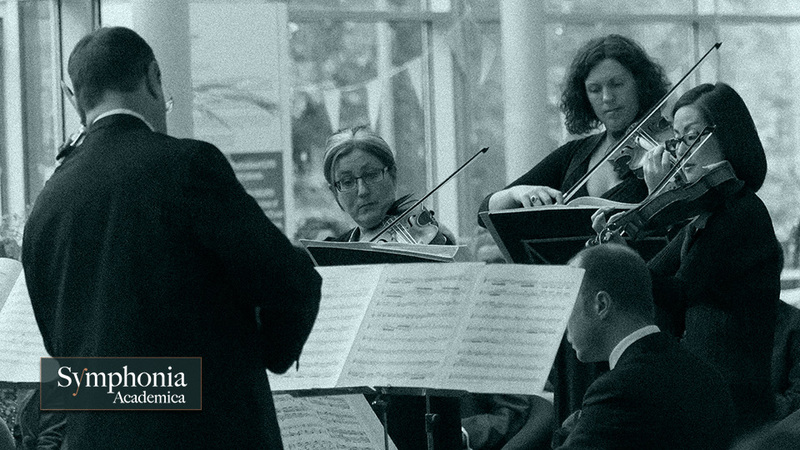 With a large repertoire of music of the Baroque, Classical and Romantic eras, together with works by twentieth century and contemporary composers, Symphonia Academica produces adventurous and engaging programmes that can fit the concert hall to more intimate spaces.